You may be a mum, you may be a sister, a friend, a lover, a spouse but you are still "you". Whatever your job is, you are still "you". I have found it really challenging to achieve the perfect balance between being mummy/wife/me. Those first six weeks were so so tough. I literally couldn't remember what day of the week it was. Nothing can really prepare you for those first six weeks and the frightening fact that you don't recognise the person with huge tired circles under their eyes looking back at you in the mirror. The notion of chilling out, sleeping even having a drink is unimaginable. But it really is all worth it for that genuine smile, that kiss, that funny face! I have found that I am able to be a better mother when I don't forget who I am. I may have had a baby, I may be a wife (and a very lucky one married to a wonderful man) but I'm still the same crazy, fun loving, spontaneous, singing, dancing yogi! Teaching yoga has given me a sense of purpose at a time where I felt like I was drowning in labels. I'm not just mummy, I'm still me. It's given me independence and a way to express my truth. There are few better feelings than being able to help my students to reach their goals, embrace themselves and love their bodies. So talking about things that make you happy....who wouldn't love a holiday to Portugal?! That is where I have been this week! Sunshine, beach, pinacoladas and an opportunity to practice yoga with two of my old teachers. Props to my gorgeous partner Jodie who covered my class for me. I really had a fabulous time. I felt carefree and just happy to be dancing, only slightly more sensible than the young Raquelle as I knew I would be up with Gracie at 7am! Therefore couldn't stay out dancing later than 3am. In the good old days we would aim for sunrise, so yes that is sensible for me! It was a proper girly adventure with one of my best mates, Red and of course the monkey moo. We managed to find an awesome balance between spending quality time with Gracie and also enjoying nights out, lunches and yoga classes. Absolute perfection! We did slightly miss the mark on the day we went home. Trying to bribe a two year old grumpster with food and milk while we (so called) adults were slowly dying after two hours sleep and battling raging hangovers was definitely a low point. However, the actual flight was not so bad, thank you Gracie for sleeping!! The holiday was just what I needed. I'm refreshed, I got my fix on the dance floor and Gracie finally, kind of learnt to swim (I have been feeling so guilty about not taking her at home)!! Also, I can't wait to get back to my classes with all this fresh inspiration from Lulu and Sol (my amazing yoga teachers in Portugal). Not to mention how excited I am to really throw my all into the studio and I can't wait to see how it has come on this week. I believe the painting and floors should be completed now so it is going to look very different! In my classes this week , I want to bring that same sense of release and fun that a holiday can. Obviously I can't control the sun or bring the beach to the studio but a lovely opening and releasing yoga class comes very close! I'm going to be working on freeing the mind and opening the heart to let out any pent up frustration, mute the echoes of mummy mum mummy mum and revisit what makes you tick. 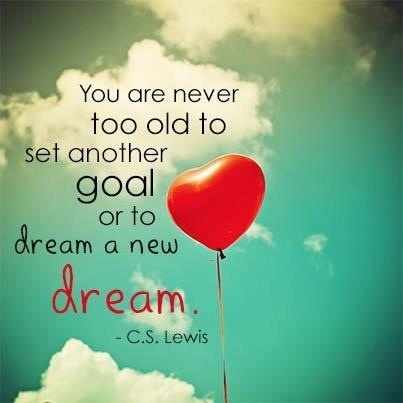 Reminding yourself of your dreams, because they can happen at any time, if you let them. Never give up on them and never forget who you are. When you are happy the people around you will also be happy. My little monkey walking under the bridge!!! Warrior 3 (Virabhadrasana III) - core, cardio, legs, back and arms all work so hard here. The pose for ultimate strength! Hello backbends, core and back strength, just to make sure we are completely bikini ready for these summer months! Shout out to my very talented friend @djsnake who is responsible for the ultimate summer tune which we must have played it at least 20 times per day on holiday. It's called "Lean On"! This guy is so on it and works so damn hard. We met in LA and worked in the studio three days straight! He deserves all the success I know he will achieve. My first ever yoga teachers, Lulu and Sol. I feel like just from going back to their classes this week that I have exposed any bad habits and am reminded of how much I am a student of yoga with so much to learn. I love that and I feel so inspired by them. "IZZY'S"- not only does she make the most delicious giant red prawns, clams, chicken piri piri etc but she throws the most amazing sunset parties. 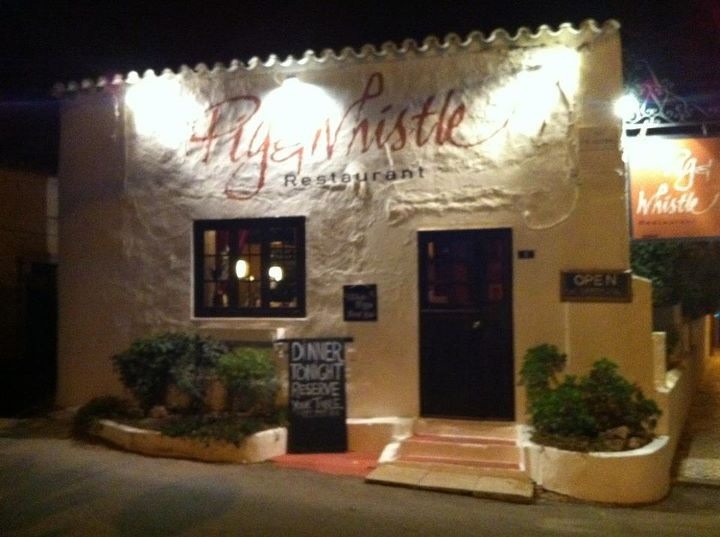 "THE PIG AND WHISTLE" Mike and Jon, my wonderful friends own this precious little gem in Almancil. The menu is so fab, its hard to choose but everything I have had there is top notch. Truly worth the visit. Just a shame they don't serve Dikas wine anymore (just for the hilarious name)!!! So, if you are ever in the Algarve, you KNOW where to go!